Having just moved into a new neighborhood, Julie and her husband deeply desired to connect with their neighbors in a way that would allow them to share Christ with those who didn’t know him. Learning that there was a monthly ladies’ Bunco night that met in the neighborhood, Julie decided to attend even though it meant forgoing her usual weekly Bible study at church. The ladies soon learned Julie was skipping Bible study for Bunco night, and one month as they were ribbing her about it, one of the ladies jokingly remarked, ”I need to go to Bible study!” Another woman retorted, “If you need to go to Bible study, then so do I!” Sensing an opportunity, Julie invited them to study the Bible with her, and they both said they would. As Julie tried to figure out the best way to go about showing her new friends how to study the Bible, another friend described the Discovery Bible Study (DBS) process to her. Julie said, “That’s it! 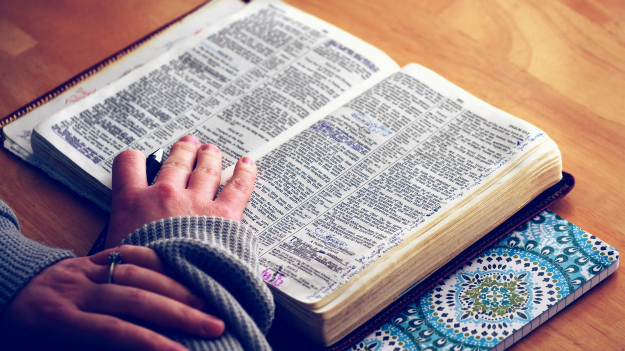 I just want to read the Word and talk about it, not over-complicate it.” Finding Beyond’s website featuring an upcoming Nugget training titled “How to Facilitate a Discovery Bible Study,” Julie signed up right away. At the training, Julie was able to participate in a Discovery Bible Study for the first time. She was astounded. And the results speak for themselves. One day, about six months into doing Discovery Bible Studies together, the ladies were reading about the sacrificial system in Leviticus when one of them exclaimed, “What is the deal with all this blood!” The other non-believer who had some church background responded, “Doesn’t it have something to do with Jesus and his blood on the cross?” Following her training and not wanting to shortcut the discovery process, Julie answered, “Yes it does! We’ll get there in a few lessons.” But the woman insisted, “You need to tell me now!” Feeling the Holy Spirit prompt her that this woman was ready, Julie shared a gospel presentation and both women confessed their sins and decided to follow Jesus. “Wow, this is amazing!” one of them exclaimed. Julie testifies that by their next DBS together these women were completely different, the Holy Spirit clearly present in their lives. Pray that the Holy Spirit will create a desire in the hearts of these women to share their experience with friends and family.